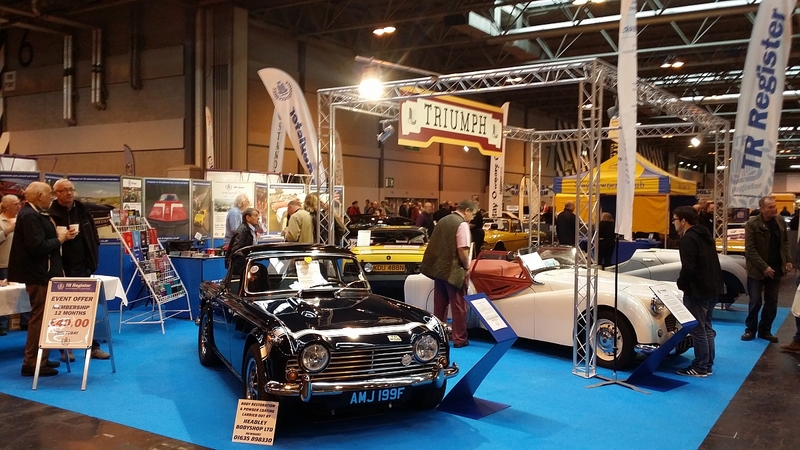 The event, which took place on the Saturday evening of the Practical Classics Restoration and Classic Car Show at the NEC, Birmingham brought hundreds of representatives from the varied community of national classic car clubs together for an impressive awards ceremony. The night opened with an address from Show Director Daniel Nwaokolo, who congratulated all those who had made the shortlist from the many hundreds considered. He went on to reinforce how important the clubs are to the classic car community and that they remain at the heart of the shows run by Clarion Events. The host for the evening was Discovery Channel star, Mike Brewer who co-hosts Wheeler Dealers with Ed China. The evening also featured addresses from Classic Car Weekly editor Keith Adams, Practical Classics editor Danny Hopkins and representatives from Tourism Ireland Great Britain. 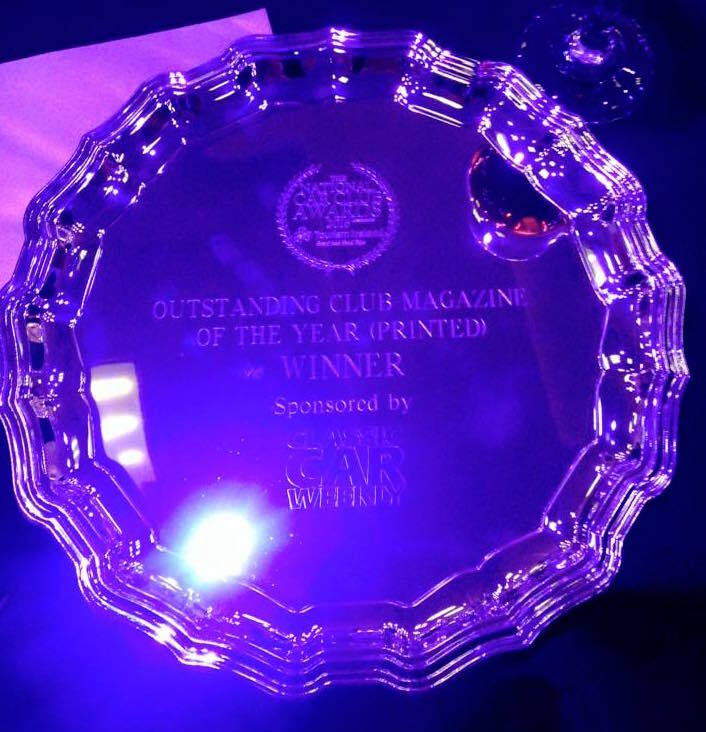 The TR Register was awarded the first gong of the evening for 'Outstanding Club Magazine of the Year (printed)' in honour of the continued development of TR Action Magazine. 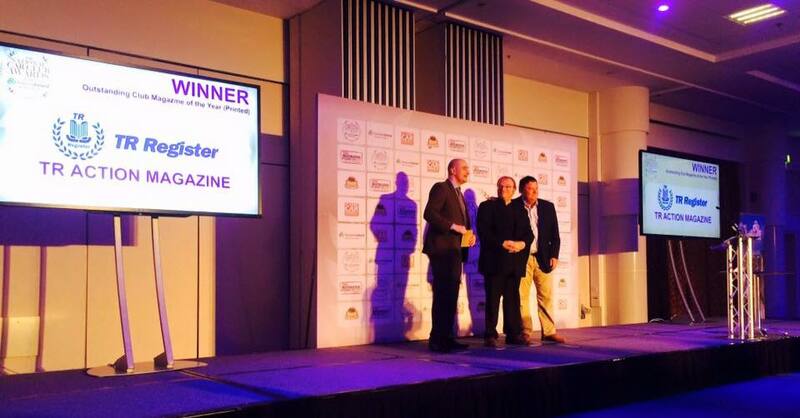 The award was presented by Mike Brewer and Classic Car Weekly editor Keith Adams and was victorious against strong competition from no less than nine other publications also shortlisted. 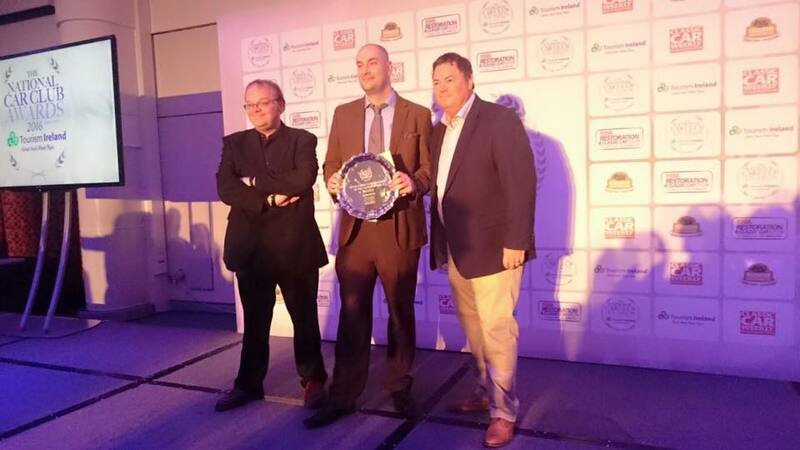 Wayne Scott, TR Action Editor accepted the award on behalf of the magazine team which includes sub-editor Nicky Bate, designer Elliot Lee and proof readers Jo Whitty and Roger Hogarth. Thanks and congratulations also go to all the contributors to TR Action magazine, the model registrars, local group leaders, columnists and all the members who take the trouble to write and submit photos and articles. Finally a massive thank you to all the advertisers who continue to support both the magazine and the club as a whole. There was success elsewhere in the Triumph community when Club Triumph were awarded a special recognition award for the huge amounts of money raised for charity by their biennial Round Britain Reliability Run. The event celebrates its 50th anniversary this year and we are very pleased to be hosting the Club Triumph National Day at the TR International Weekend at Lincoln Showground 15th - 17th July 2016. 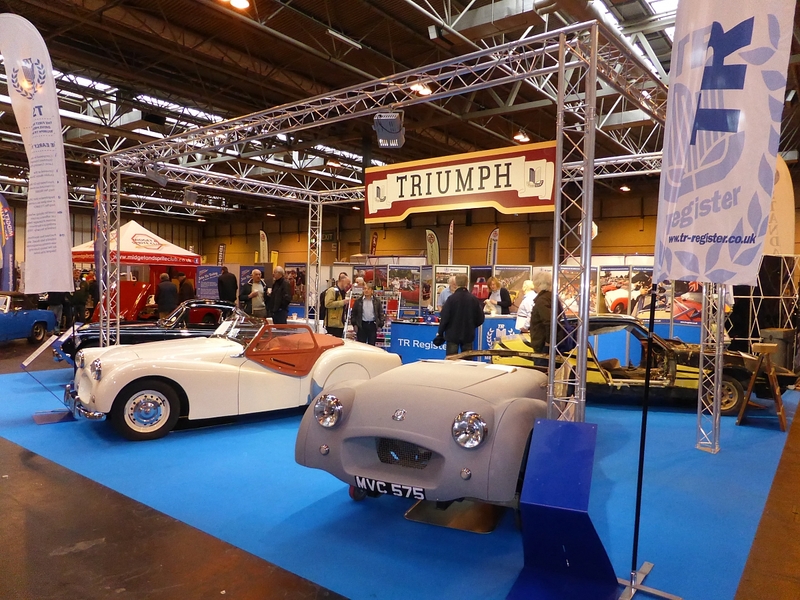 The TR Register stand at the show this year featured two very special restoration projects. The star of the show was the record breaking Triumph 'Jabekke' TR2 currently being restored by Glen Hewitt of Protek, Wallingford. The renovation, which is being serialised in TR Action Magazine, sees the return of the TR2 that held the record for fastest two litre production sports car in 1953. The TR2, driven by Ken Richardson achieved 124.889mph on the Jabekke highway in Belgium. The car was shown on the stand alongside TS2 the first right hand drive TR2 ever built which is owned in trust by the TR Register. At the other end of the TR spectrum was the 1977 Scottish Rally Championship class winning TR7 of Peter Tokely. 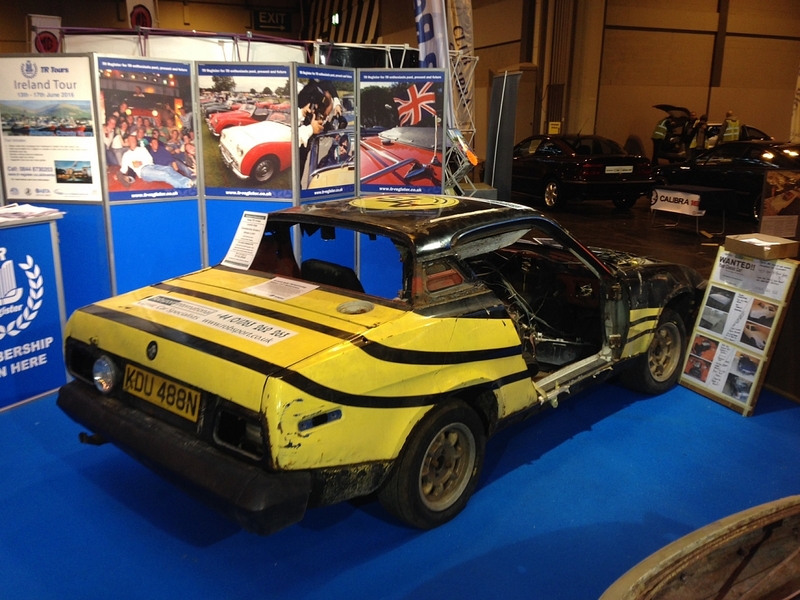 The project needing full restoration is currently being offered for sale by TR7 specialists Robsport and comes with a truly fascinating history. Completing the set was the recently completed TR250 restoration of Phil Horsley. The car was completed last year after a lengthy restoration to factory standard which has included it retaining its US spec engine and left hand drive. The club once again offered free tea, coffee and biscuits to members with a wealth of volunteers on hand to offer advice and encouragement to new and existing members alike. This is a very successful outcome for all the efforts made by the Club itself and the employees and volunteers without whom none of this would have happened. I bought my TR by mistake outside a pub in 1966 and it has been a great success as a hobby and an interest. Thanks to the club and well done.